It's not hidden that most of the tech giant believes that AI is the future of our world. We already have a number of AI available like Siri, Google Assistant, Amazon’s Echo to help out in almost everything. Do we know how much capable of assisting us Are they that much of helpful as their inventor promises?. The problem is not with them, it's with us, we don't know how to use these assistance services up to their full potential. We don't use Siri in our day to day life activities as we don't have much information about the interface that we cannot see. This is the main root of problem companies are not able to market the interface that is totally invisible. Apple comes out with an advertisement to solve this problem and educate the users how to interact with Siri to get optimum assistance. Apple just released an advertisement featuring the Dwayne Johnson aka The Rock to show what Siri is capable of. The company and tech teams are putting all their hard work in the Siri to make it smarter with every enhancement. Recently, Apple with the release of iOS beta shared the new and smarter Siri, responsive to multi-language and many other features. Apple wants to take the Sii beyond the use of weather information and google searching. 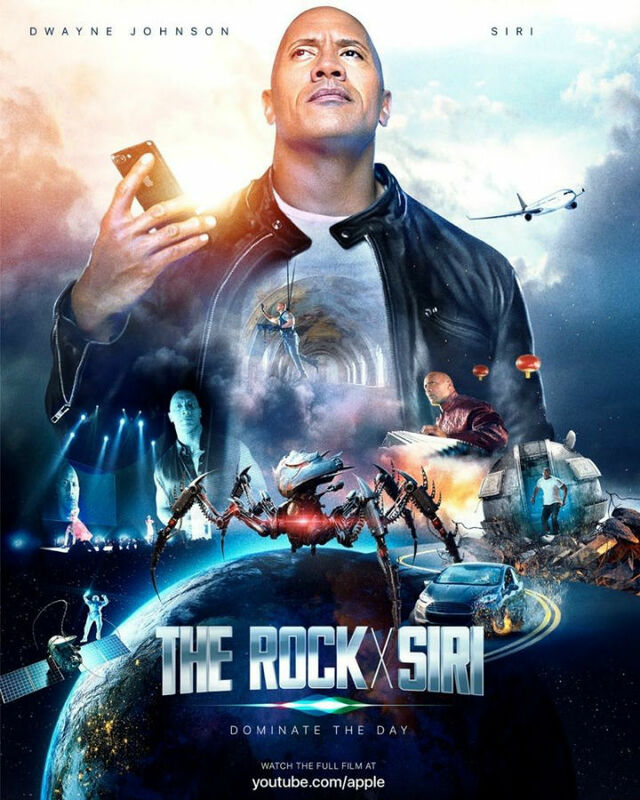 The 3-minute 45-second video has the Rock as the protagonist who is asking the help of Siri to perform tasks. In the advertisement, the Rock is being challenged to complete his projects due to being too hectic. Siri helps out the Rock in completing the bucket list consist of some 10 life goals. The video is very engaging and it's funny in most of its parts the Rock, as usual, gives his best to the viewers. Apple’s this new way of educating the Apple users about Siri is interesting and will surely make some impact. The way Siri helped out Rock in completing the life goals in his crazy, hectic schedule shows the true strength of an AI. Most parts of the clip will make you feel expensive, but considering the fact that Dwyane was the highest paid actor in 2016 it's impressive. Some people confused the advertisement with the movie after rock tweeted earlier about the advertisement. According to a report from the Techcrunch, the spot is created by the Apple and Seven Bucks Production, the production house that rock co-founded with Dani Garcia. The tech giants including Google, Facebook, and Microsoft are also rigorously working on the different AI projects. The only way to integrate the AI assistance in our life is to continue usage, which ultimately leads you to know their actual purpose. Let us know what you think about this latest video thought your comments below.